This is more than just a joke at this point. It's a joke that stopped being funny at least four or five years ago. While most companies are confirming which games will be making an appearance at different summer conventions and trade shows, Sony has to confirm of which game won't be showing up. How hilarious, but that's just the way it goes when you promise the world and fail to deliver anything definitive. 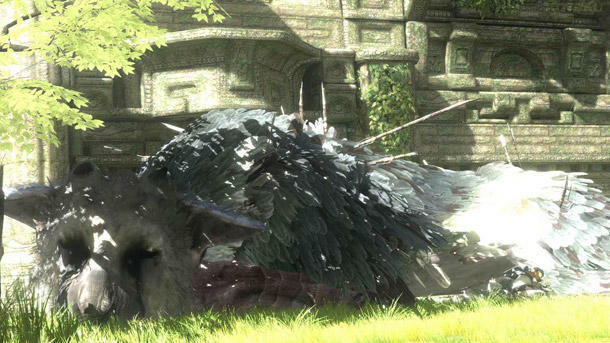 Eurogamer had a little sit down chat with Sony Worldwide Studios Boss Shuhei Yoshida at Gamescom 2014 this week and asked him about The Last Guardian appearing at Tokyo Game Show next month. "I don't think so," was his response. "Sorry." When pressed when we will get a chance to see it, Yoshida gave a pretty typical answer in line with his usual stance. More assurances of its existence, more hints of progress, more acknowledging the ever dwindling patience of fans, but of course, nothing concrete. It's a shame that it has come to this, the dream of another game from Team ICO turning into such a nightmare, but the status-quo of The Last Guardian has become that it won't be appearing at a conference until Sony says so. It might be best just to stop asking. A watched pot never boils, and an anticipated Team ICO game never gets solid information. Until then, we have to continue hearing "no" over and over and over again. I hope for Sony's sake that this game its pure gaming gold at this point, because, otherwise, it will really make the fans explode with the force of seven years of pent up frustration.